ORLANDO (FNN SPORTS) - NFL, Florida Citrus Sports, and City of Orlando announce a grant to renovate Lake Lorna Doone Park. Photo: Mellissa Thomas. ORLANDO, Fla. (FNN SPORTS) – Orlando Mayor Buddy Dyer, Florida Citrus Sports CEO Steve Hogan, NFL Senior Vice President of Events Peter O’Reilly and the NFL team held their NFL Pro Bowl Week Kickoff and Community Grant press conference at Lake Lorna Doone Park Tuesday, awarding the grant to renovate the park as part of the NFL PLAY 60 health and wellness program for the community’s youth. Orlando City Commissioners Jim Gray (District 1), Tony Ortiz (District 2) and Regina Hill (District 5), as well as this year’s Pro Bowl Legends captains Ray Lewis (AFC Defense), Jerome Bettis (AFC Offense), Charles Woodson (NFC Defense), and Tony Gonzalez (NFC Offense) were on hand to offer support and participate in the tree planting ceremony to launch the renovation process. Maynard Evans High School and Jones High School football teams were to meet the football legends and take photos with them. Florida Citrus Sports CEO Steve Hogan welcomed the project, passionately pointing out that the renovations include a working scoreboard. 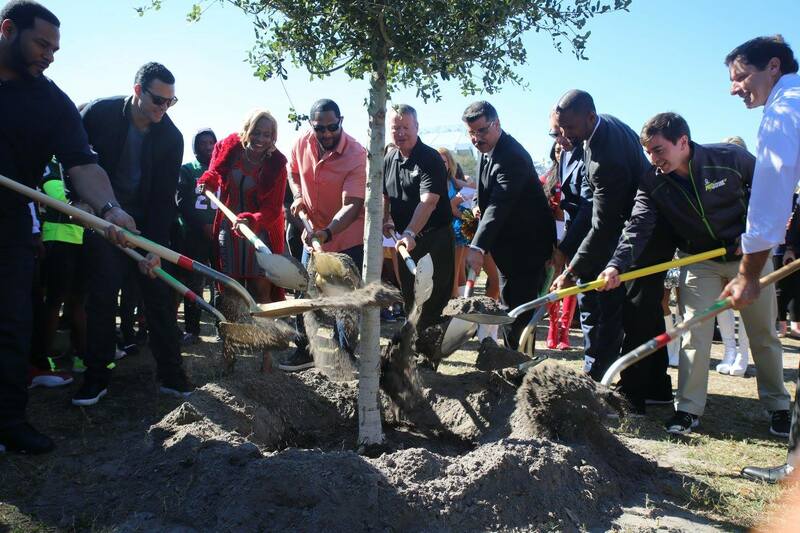 He noted the fact that Lake Lorna Doone park was the historic site of the first integrated football game in the south and mentioned that he looks forward to the youth being able to play their games in the newly improved park for years to come. “We’ve been in talks to renovate Lake Lorna Doone Park for three years,” said Commissioner Regina Hill, in whose district the park is located. She expressed her excitement for the project and the opportunity for District 5 youth to meet the Pro Bowl players. Mellissa Thomas is the Editor of Florida National News.